Click here to view this site's accessibility statements. To modify it to work on an international version of Google, you’ll have to download the customizable version and modify the manifest.json file to accept requests to google.ch, or google.co.jp, or as such accordingly instead of google.com. Then simply load the extension as an unpacked extension! Blue one works perfect, thanks. After installing blue ready-to-go extension, passing my mouse pointer up through a Google product name (Reader, Calendar, etc) changes the background color to a darker blue, and only resets it if I pass the mouse pointer through it again but going downward. Other than this, it’s great! Thanks. I get my chrome book tomorrow and will do this after getting it. Thanks downloaoded the basic model then went to extensions but nothing happened. I’m new to this. Would like to do the full bar but I’d be lost. how can I restore default look of G+ bar?? I’m dumb (not a developer). Couldn’t find contentscript.js . It didn’t appear to me in the script list when opening the background.html in developer mode.. Could only select jquery.min.js or jquery-ui.min.js. What am I doing wrong? Nice post. Thanx fr ua wonderful article. But it occupies a little much memory. Quero testar as outras tonalidades de cor. Hey! Very cool extension. I got it working how I’d like but it doesn’t seem to work in gmail. Any idea what’s up there? I imagine they probably named some ids or classes differently since they made the styling change in other google sites before gmail. If you have any luck with the issue please let me know and I will do so likewise. 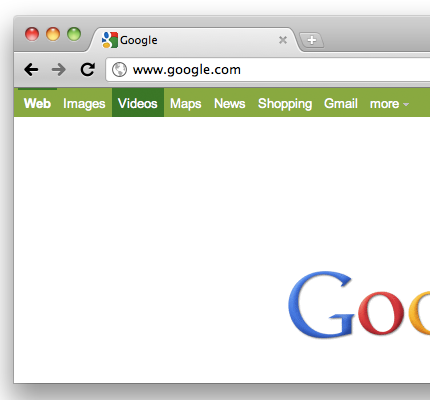 I made a Chrome extension that lets you change the color of the Google Plus bar because the gray is utterly boring. The repository is available here. There’s a green, pink and a blue version of the plugin all ready to install without any of the customization below. Open contentscript.js and edit the colors. For a good palette, please use Copaso and look for the hexadecimal colors. Open Chrome Extensions and click on “Load unpacked extension”, navigating to your unzipped folder. This entry was posted on Thursday, June 30th, 2011 at 7:29 pm, EST under the category of Coding. You can leave a response, or trackback from your own site.